Wrongful discharge and employment discrimination law suits have been on the rise in society as our aging, diverse, American workers are replaced by younger, less-costly job candidates. Regulation law changes, employee performance issues, employer management mistakes and other factors add to suit filings in all states. Discerning plaintiff and defense lawyers in wrongful discharge and employment discrimination matters retain experienced Vocational Rehabilitation Experts to assist them and the triers of fact to ascertain the employee’s level of employability, wage earning capacity, job search diligence, and efforts to mitigate since being discharged. To give focus to the lost wage settlement value, this may include among other factors: a close review of the employee’s transferrable skills; an analysis of the plaintiff’s job searches (not for just the type of job they worked previously); labor market research and historical perspective of jobs available and earnings since the date of discharge. At Arrowfish, we not only have an extremely knowledgeable and experienced team of experts to handle all of your financial and economic consulting needs nationwide, we also have a passion for what we do. Dauntless Hospitality Advisors, LLC is a hospitality expert witness and advisor to hotel owners, lenders, management companies and law firms. Our managing director, Jim Fitzgerald (ISHC) is a hotel industry veteran with more than 35 years of experience. 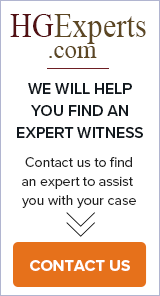 MCS Associates is a nationwide specialist consulting and expert witness company (est. 1973) that concentrates exclusively in banking, finance, insurance, securities/investments, financial services, real estate, and related economic and damages matters. George McLaughlin, MBA, CEA, CVA provides expert witness testimony regarding economic damages in personal injury, wrongful death, employment discharge, lost profits, business interruption, toxic tort, construction defect, and business valuation cases. He has testified over 130 times in California. Connecticut - Serving: Connecticut, Massachusetts, Rhode Island, New York. Corporate psychologist and HR professional with expertise in providing court expert testimonies in the areas of employment law, wrongful terminations, discriminations, FMLA and Disability. HResults partners with companies of all sizes to provide effective human resources and organization development solutions that achieve business objectives. The approach is proactive, collaborative and consultative to build relationships with Human Resource teams and business leaders. Technology and General Buisness Expert Witness, Emergency Services Witness, Healthcare Witness.